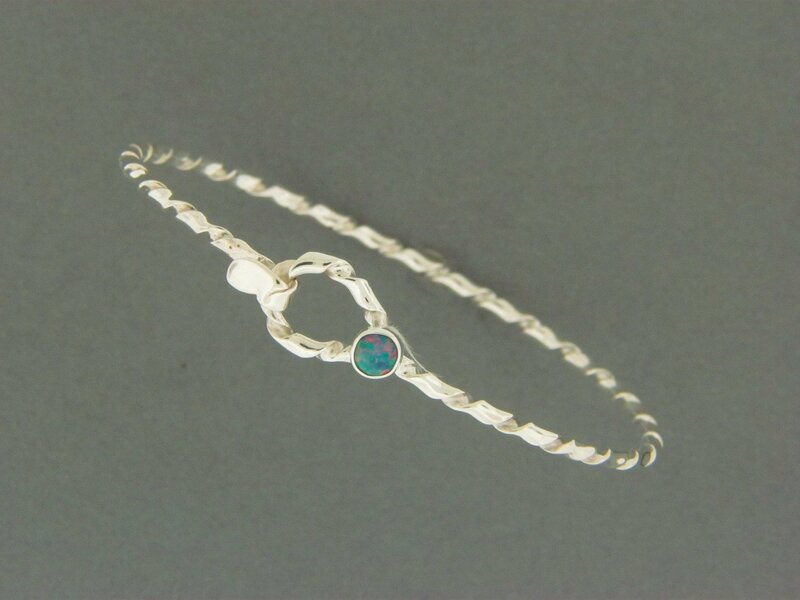 Handcrafted sterling silver .925 child's light twisty hook, 12 gauge 1/2" round wire with a 4 mm round semi precious stone. Available for any age group. Shown with a malachite.